A top executive at one of Nigeria’s largest banks has been held by anti-graft investigators over a series of transactions his bank allegedly carried out on behalf of one of Nigeria’s largest oil-producing states, Rivers. The Economic and Financial Crimes Commission is alleging that the transactions, at least N117 billion in value, are suspicious in nature but that Zenith failed to report them as demanded by law.Insiders at the EFCC and Zenith Bank said Mr. Amangbo was held to explain why his bank failed to document the withdrawals, allegedly done over a three-year period, as suspicious. Mr Amangbo was first invited for questioning on August 23, sources said. But he was freed on administrative bail and asked to return on August 24 for further interrogation. Officials were unable to immediately provide further information about the investigation to newsmen Sunday night. 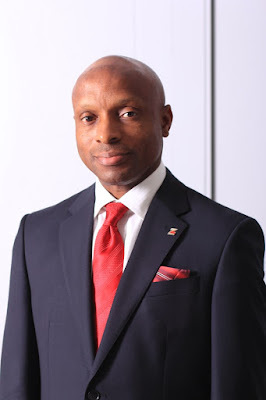 Both Akin Olaniyan and Victor Adoji, spokespersons for Zenith Bank, did not immediately return calls, text messages and e-mails seeking comments Sunday night. “No government official will appear before the EFCC,” Mr Wike was quoted as saying in a statement his spokesperson Simeon Nwakaudu sent to newsmen on Sunday night.